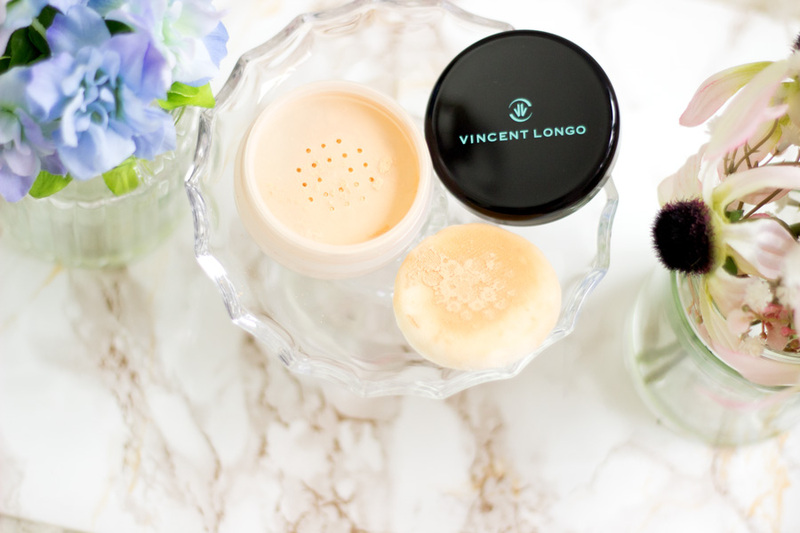 The first time I came across Vincent Longo Makeup was definitely on YouTube and it was on a US YouTuber's channel (can't recall who now). I was intrigued but I let out a deep sigh when I realised it was yet another beautiful makeup brand that was unavailable and difficult to get hold of in the UK. 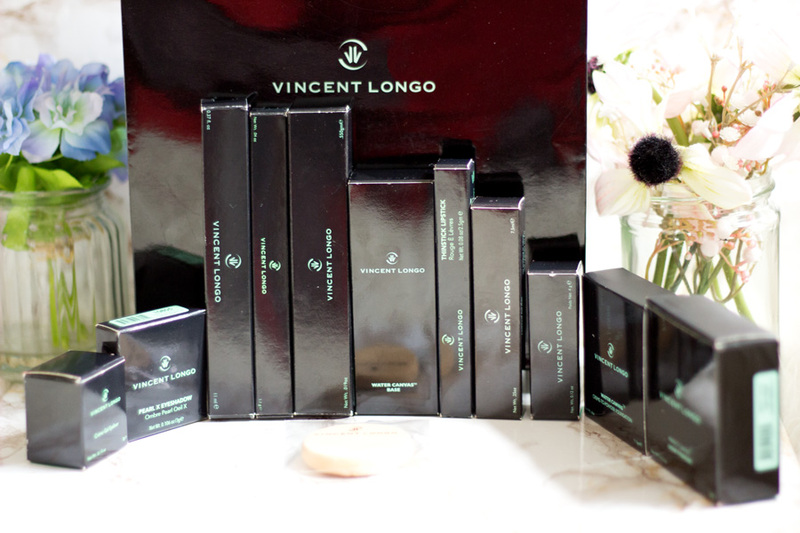 Now, I am so thrilled that Vincent Longo Cosmetics will be launching in the UK this September. Of course, the Mark McDonald Consultancy Ltd (MMCL) are the brains behind bringing this brand over to us here in the UK. 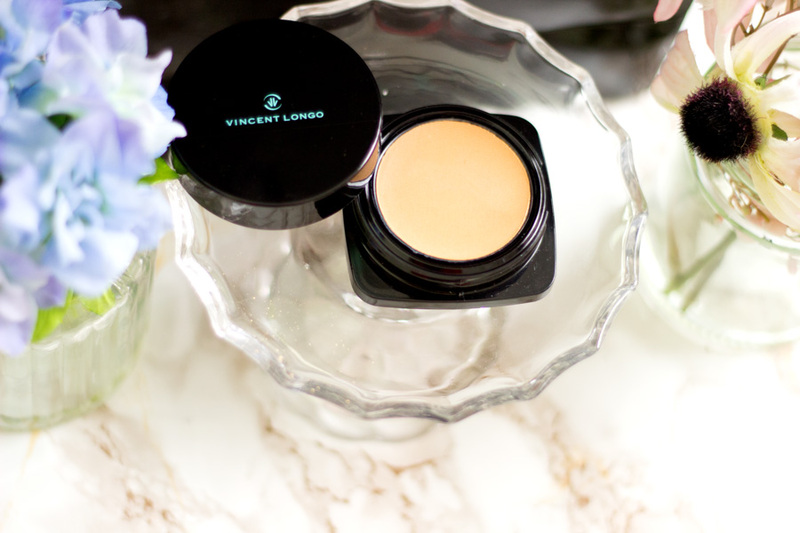 Back in April, I saw some samples of Vincent Longo Cosmetics and they looked incredible particularly the Perfect Canvas Foundation. 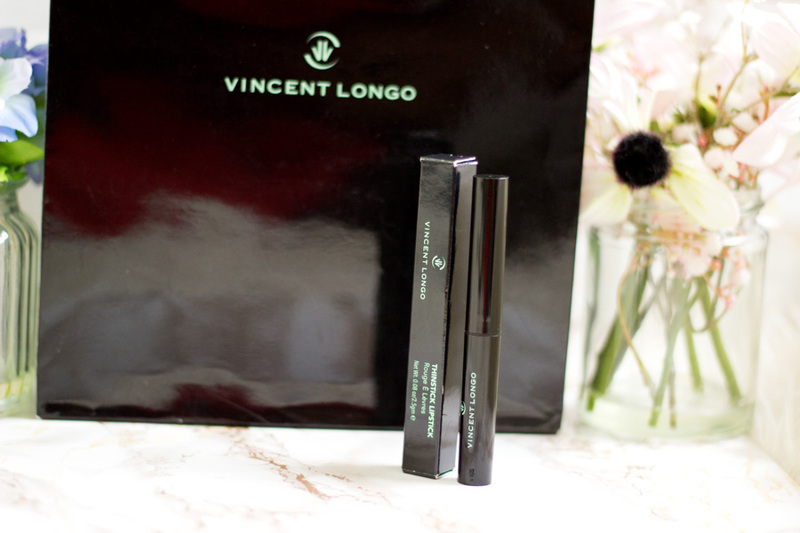 The good thing is Vincent Longo will be available in Cult Beauty from September and I will update this post when I am sure of what other retailers will be carrying the brand. P.S. My usual disclaimer when I have gone a little crazy with photos but I wanted to show you what each product looked like in different angles so I hope you enjoy!! 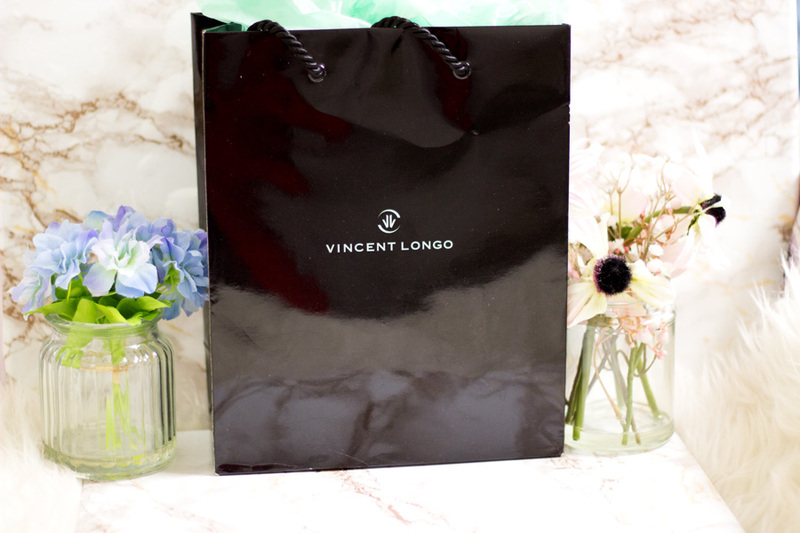 If you have never heard about Vincent Longo Cosmetics, have no fear as I have you covered. 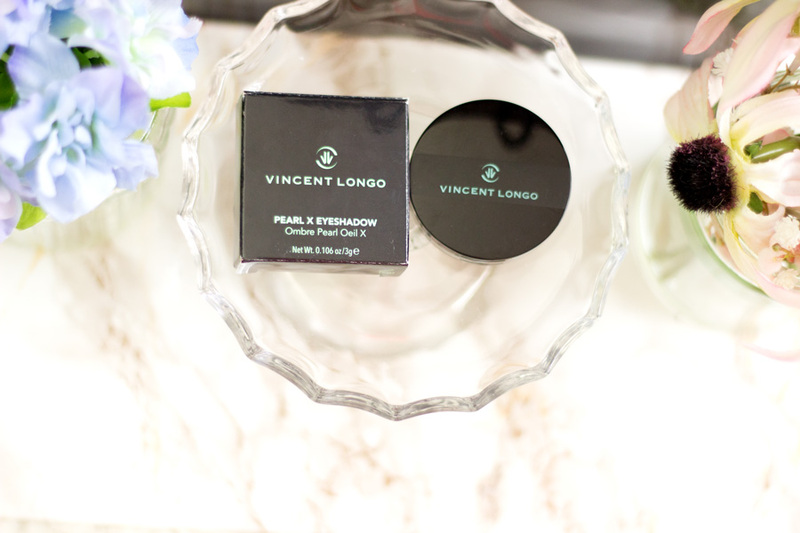 The brand was founded by Vincent Longo who is a renowned Celebrity Makeup Artist and Cosmetics Brand Developer with over 20 years experience int he beauty world. He has worked with many celebrities including Naomi Campbell, Linda Evangelista, Cindy Crawford, Elle Macpherson, Heidi Klum just to mention a few. He perfected his skills through various working stints at Giorgio Armani, Dolce & Gabbana, Gianni Versace, etc. 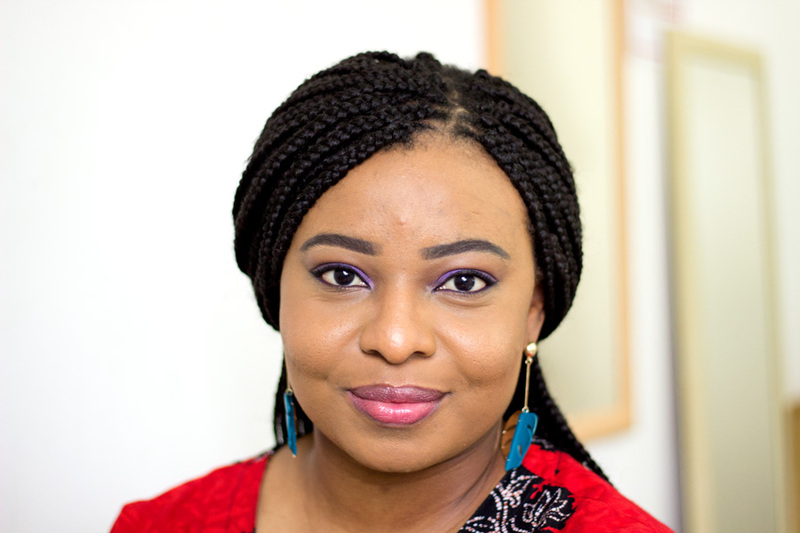 You can tell he knows his onions when it comes to makeup and he has put that knowledge, experience and expertise to work in the development of his brand. 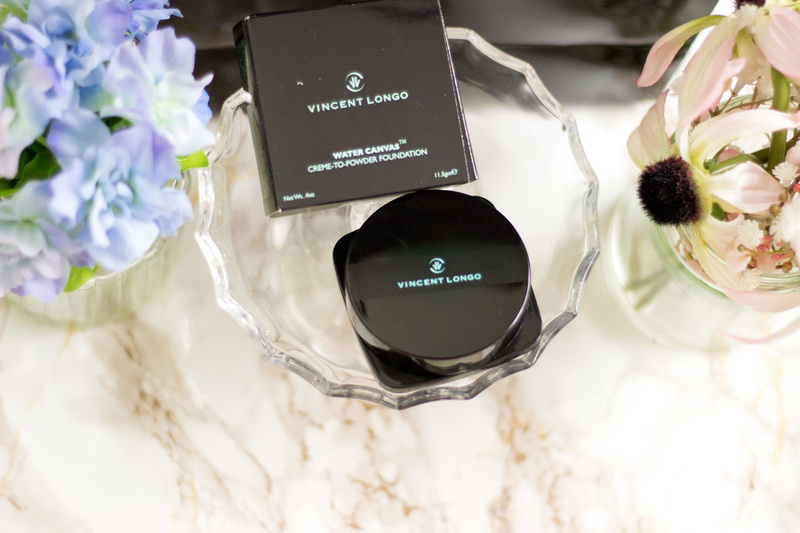 Vincent Longo Cosmetics brand mission is to ensure that creativity, artistry and diversity remains at the core of the brand and I absolutely admire the brand for that. 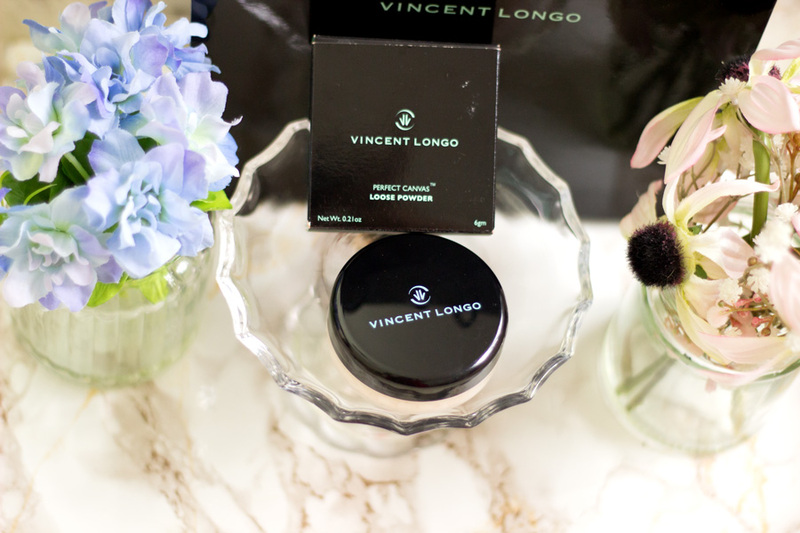 I know it's not the easiest to incorporate diversity across a brand but somehow Vincent Longo Cosmetics have done so and it is evident in their products. I also love their mission statement " You've got the canvas, we give you the confidence. #TheArtofCanvas. 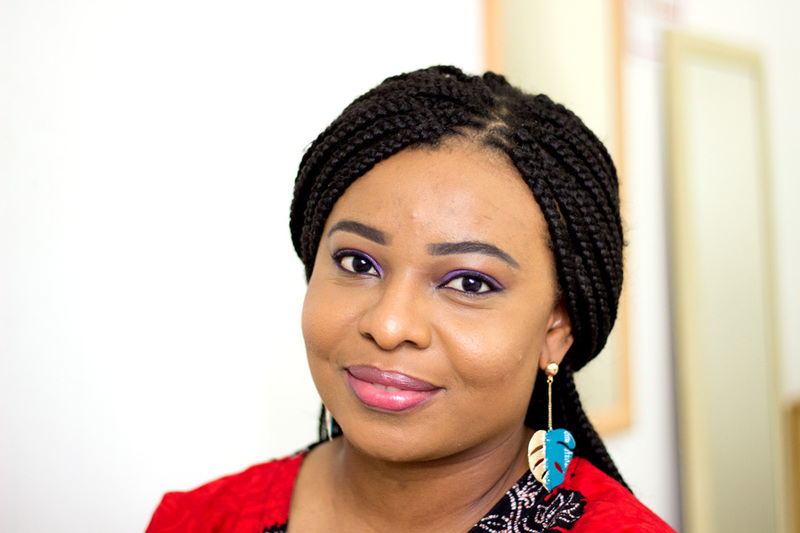 You can find out more about the brand here. I always feel like a princess whenever I get gifted a wide range of products from MMCL because they always go out of their way to spoil me. I received a goody bag full of various products to try out and I am so grateful. I do have some favourites as you'd imagine but I will let you know which ones made the list at the end of the post. I received the following products: Water Canvas Base Primer*, Water Canvas Creme to Powder Foundation*, Perfect Canvas Loose Powder*, Everbrow Micro Pencil with Sharpener*, Creme Gel Eyeliner*, Pro Waterproof Eye Pencil*, Pearl X Eyeshadow*, Lush Length Mascara*, Lip and Cheek Gel Stain*, Thinstick Lipstick* and the Sheer Pigment Lipstick*. 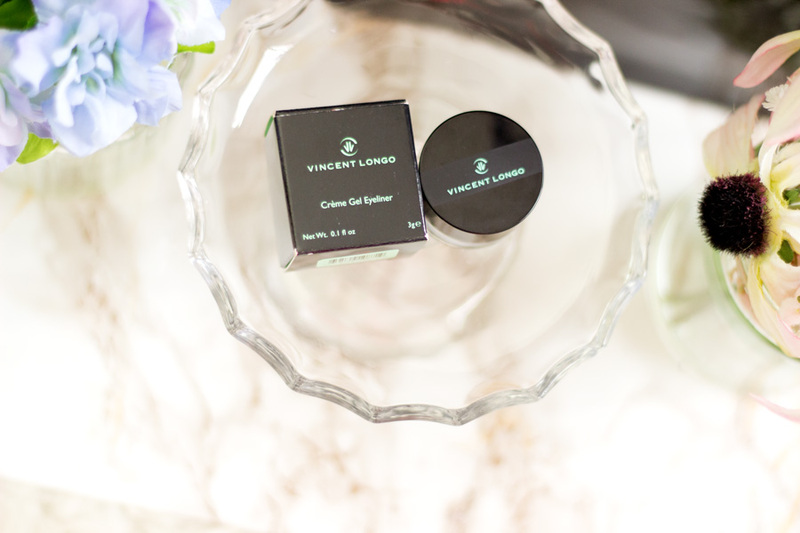 All Vincent Longo Cosmetics are cruelty free which is always a good thing. It's been almost a full month since I have been trying them out so it's going to be an in depth review. I hope this will be helpful as a reference post when they launch in the UK in September. I always use a base primer before I use my foundation because primers prep the skin for foundation and the rest of your makeup. 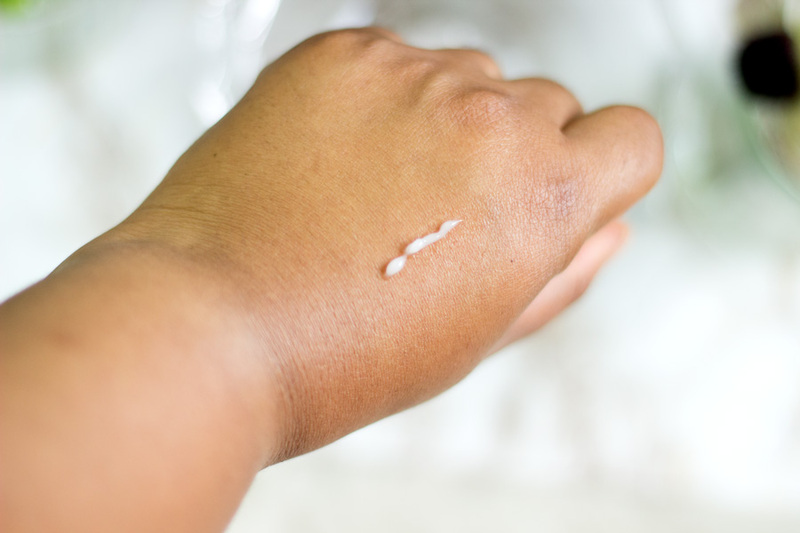 It is described as an oil-free, silicone-free and paraben-free gel primer which helps even out the skin texture and preps the skin for a smooth, uniform complexion. It totally does what it says and I have a feeling that it will be amazing for all skin types including people with drier skin types. 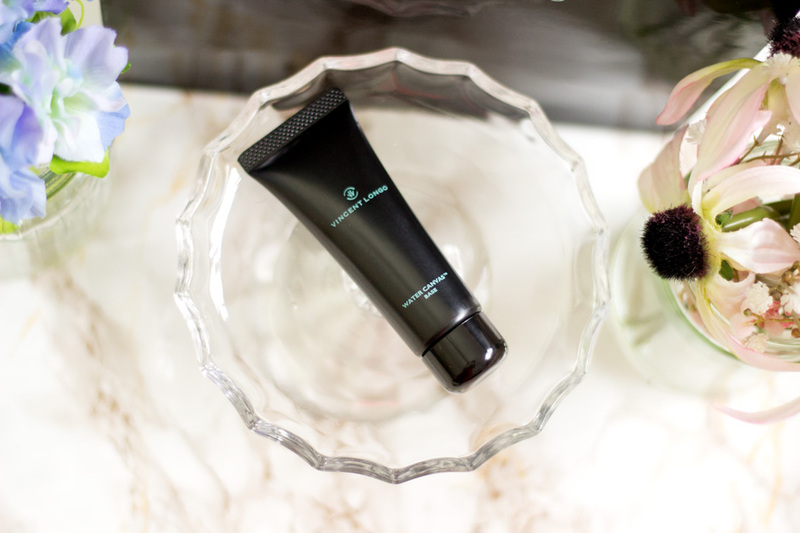 It is a transparent gel formula that feels quite hydrating and cooling on the skin. Its formula is made up of 81% Microwater for weightless hydration and also infused with Seaweed Extract to nourish the skin. It really improves the way my foundation applies on my skin through its smoothing action. Although it is an oil-free formula, I would not say it is the best at controlling oil and it does not actually promise that. 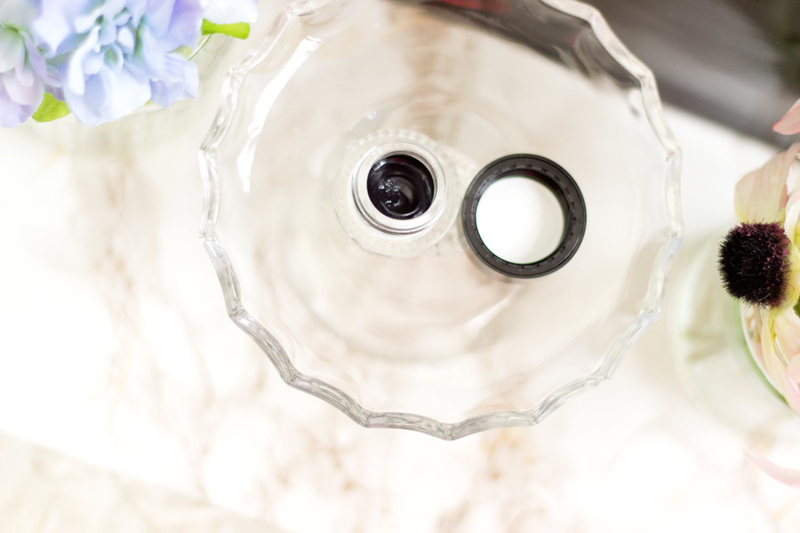 It controls my oily T-zones but a little less effective than my other primers. However, I still use it alongside my usual mattifying primers (which I use only around my T-zones) and my face is slayed all day. I know I will be reaching for it it more during the A/W season when my skin gets drier. 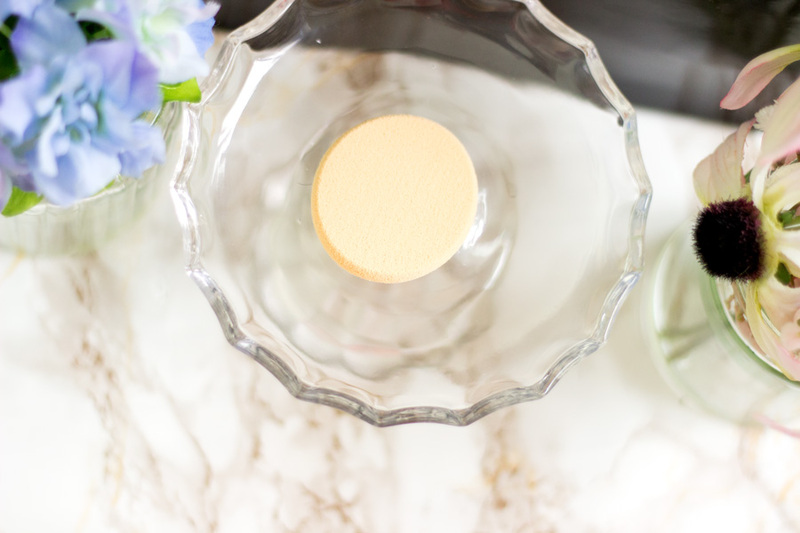 If you have normal to dry skin, you will adore this primer. This was the first product I actually saw back in April and I was in complete awe of it. I had never seen any product like it and I still have not till this day. First off, it is very different from a cushion foundation because their textures are very different. The Water Canvas Foundation is described as an oil-free formulation made up of 75% Microwater and Seaweed Extract and it is designed to provide a real skin look, feel and finish. I was more than excited to see that there was a shade that matched my complexion and that's one of the many reasons why I love VLC. My shade is Golden Tan which I believe it will match anyone who is a MAC NC44-45. It has a wet-solid texture which is really difficult to describe but I will try my best. It feels like a squishy gel cushion that bounces right back when you touch it. If you happen to get it, try not to play with it too much (like I did) because you may end up damaging the gorgeous texture. Yeah, I accidentally destroyed it as a result of playing with it too much after I took photos. I still use it because it does not affect it (it just does not look as pretty). It is definitely the lightest (almost weightless) foundation I have ever tried and it provides a light-medium coverage as well. 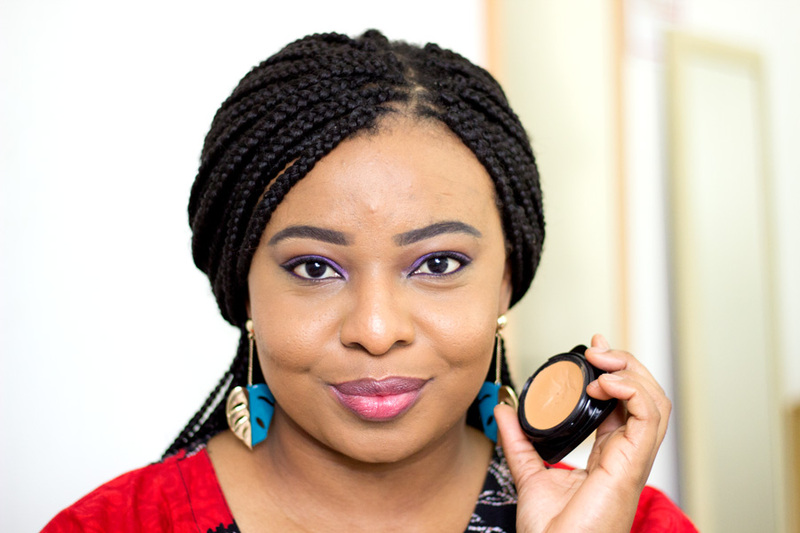 I am totally a medium-full coverage foundation girl (thanks to my hyper pigmentation and blemishes which I have to conceal) so my heart did sink when I saw it was light-medium coverage. 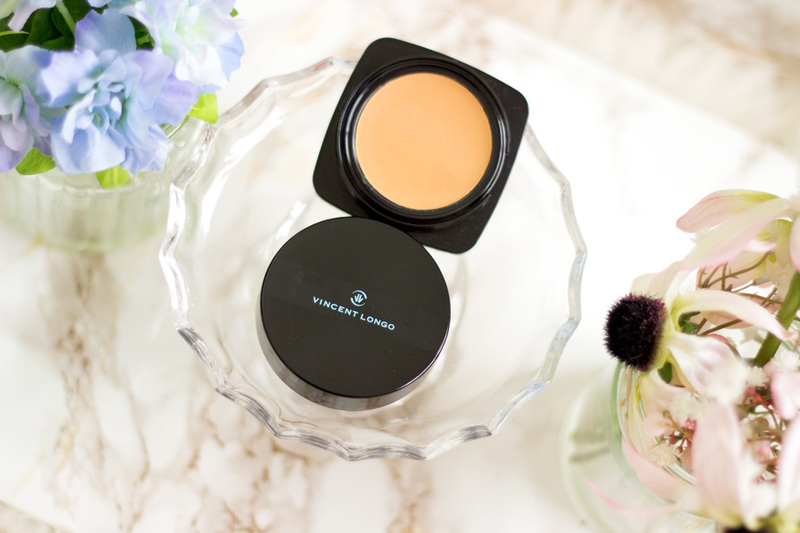 It starts off with a skin-like light coverage and you can build it up to a medium coverage but it still maintains its skin-like and weightless qualities. I was also gifted with the Perfect Canvas sponge which I believe was designed for it however I feel like my fingers and a beauty blender are the best applicators. 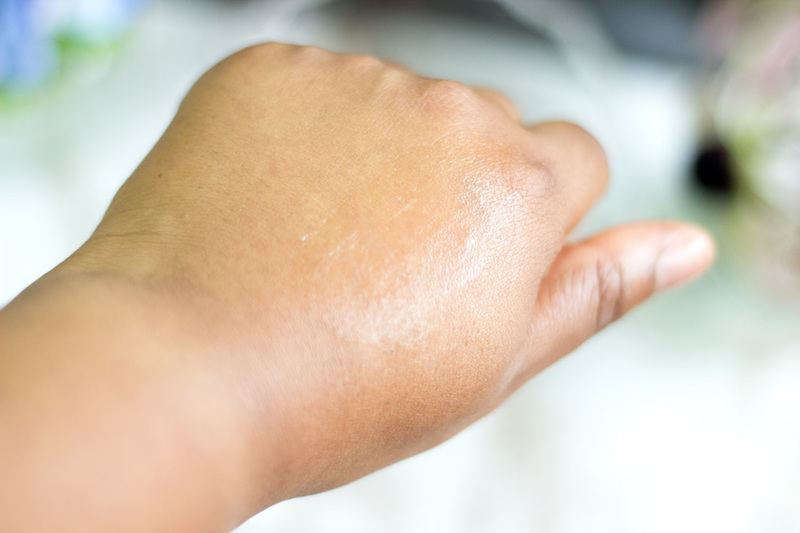 Honestly, my fingers are the best for this foundation as it does a beautiful job and my face looks flawless. The only downside is that it takes a longer time. The beauty blender is my second favourite applicator for this foundation and it takes lesser time than my fingers while providing a flawless finish. I still had to use a concealer for the blemishes on my cheeks but I did find that patiently applying another layer of foundation on these spots completely concealed them. 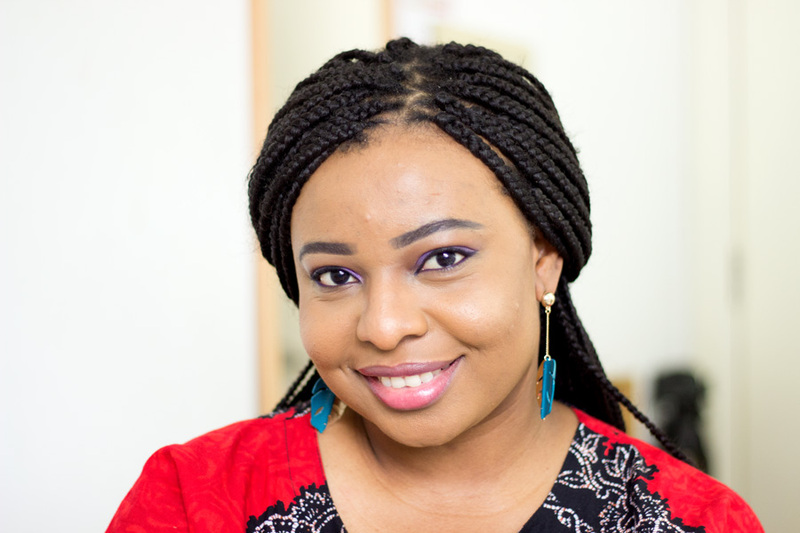 I am not very patient on weekdays so I save this foundation for weekends when I want a lighter look. 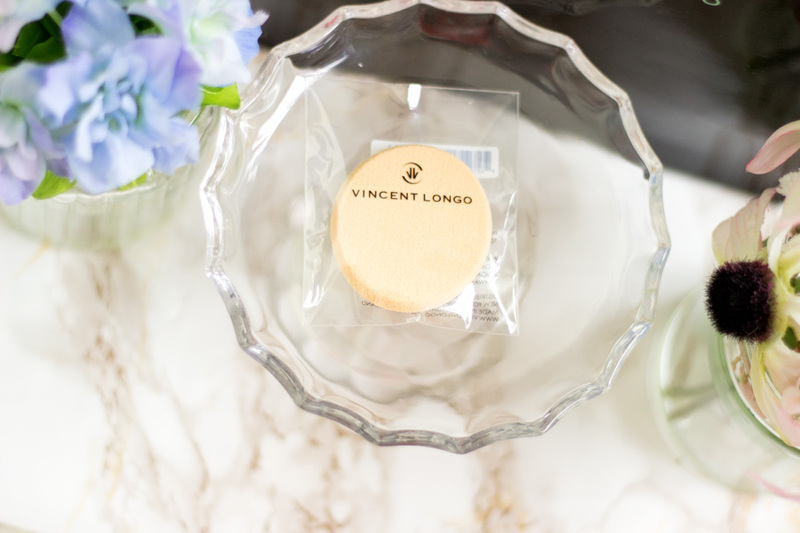 It has a good lasting power and it is also oil-free so I know everyone will love it. I would say it provides a velvet finish which is one of my favourite finishes. It honestly just looks like skin and appears to adapt to whatever finish your skin was before you applied it. There are 16 shades in total and it runs from pale to very dark and I know many people will find a close match, if not a perfect one within the range. Let's not forget the classy packaging. Again, I have not come across a similar foundation packaging and I really like it. The lid shuts very securely and it is recommended that it is always shut tightly to prevent the product losing its moisture. To be fair, the few days I have not shut it tightly, it has remained the same which is impressive. Lastly, the pan can be removed and placed in a compact (sold separately) which has a mirror and a space for the sponge so you can touch up on the go. 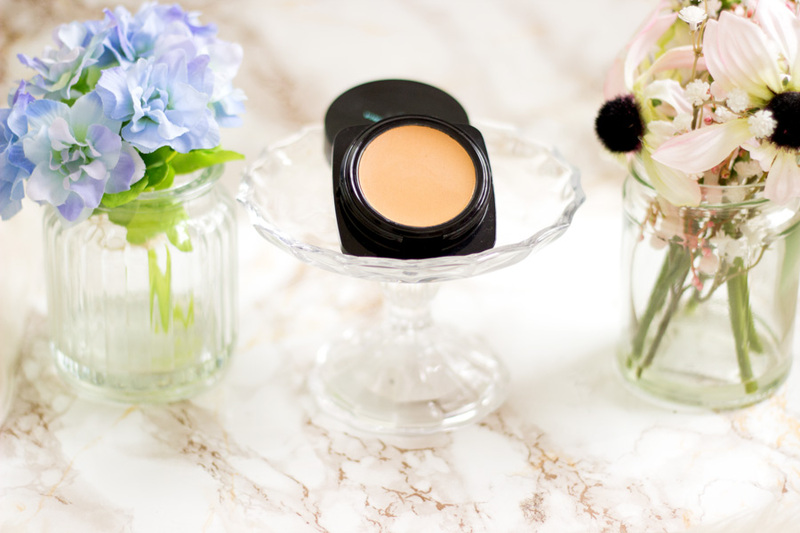 If you love a natural and flawless look, you will love this foundation. 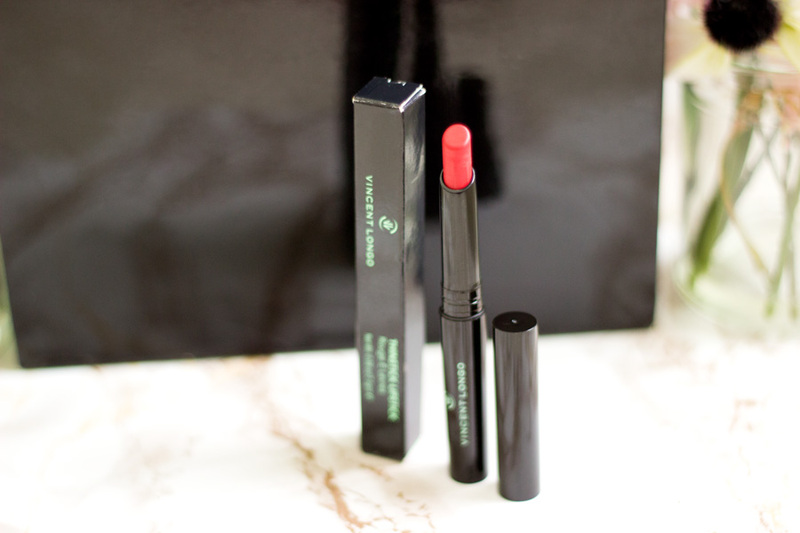 This was one product that I was also looking forward to trying because the shade seemed to be a perfect one for me. Thank God it was and I have used it every single day since I received it. 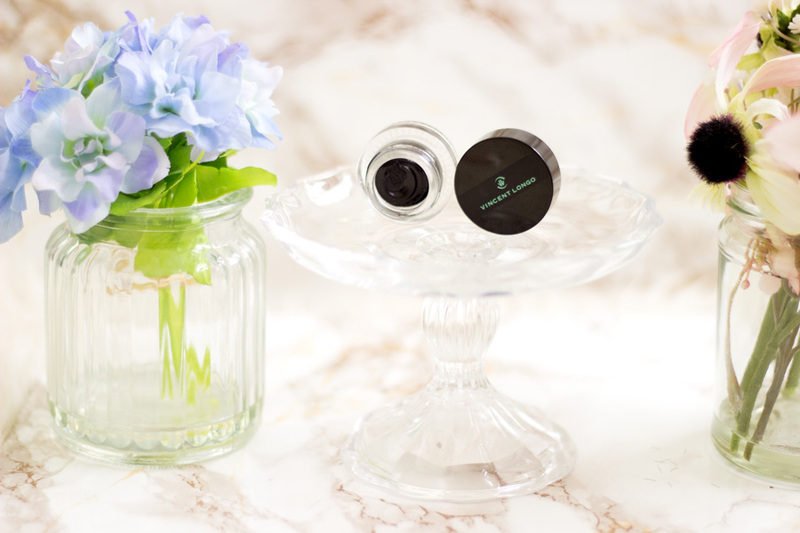 It is described as a featherweight formula which provides a brighter, pore-less looking skin. There are five shades in total including Porcelain, Golden Banana, Golden Sienna, Golden Oriental and Topaz. 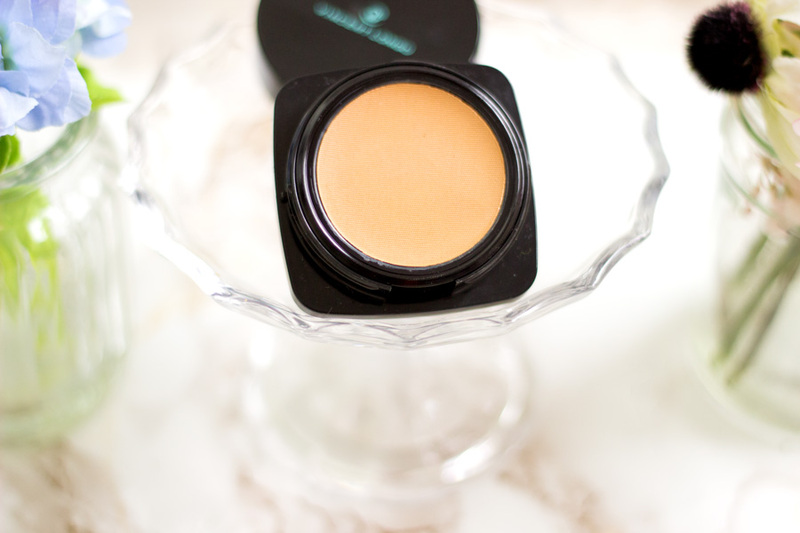 My shade is Golden Oriental and it is more than perfect for my complexion. At first, I thought it may be Topaz but it was a little too dark for me. Also, it depends on what you want to use it for. 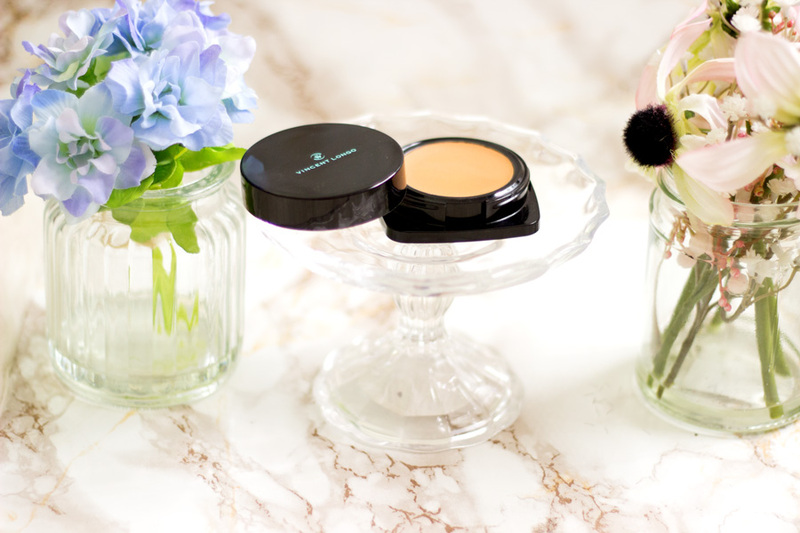 I use this powder mainly for setting my under-eye concealer and let me tell you, it brightens the area and stays put all day with minimal creasing. 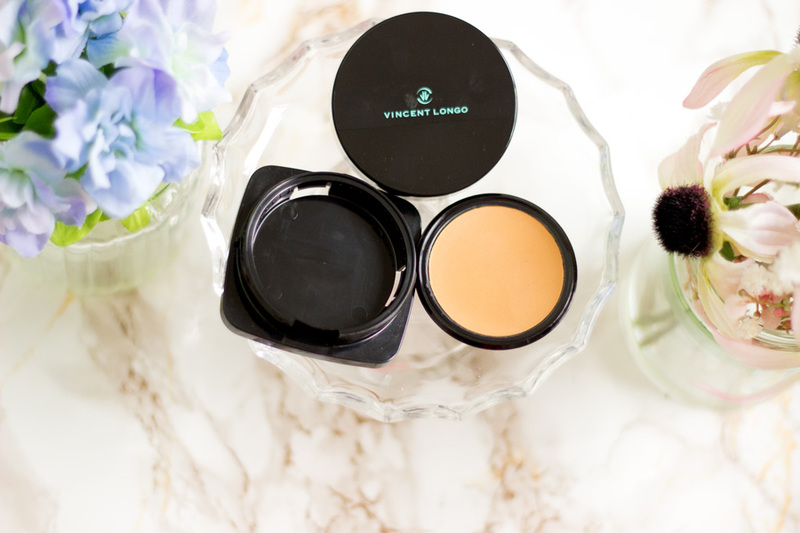 It is a very finely milled powder which applies very smoothly and maintains a matte (but not drying) finish through the day. Once I let my concealer sit for a short time, I apply this powder with my Real Techniques Setting brush, tap it right in and I am done. It does not create a lot of mess as seen with some loose powders and there is less wastage because a small amount comes out. 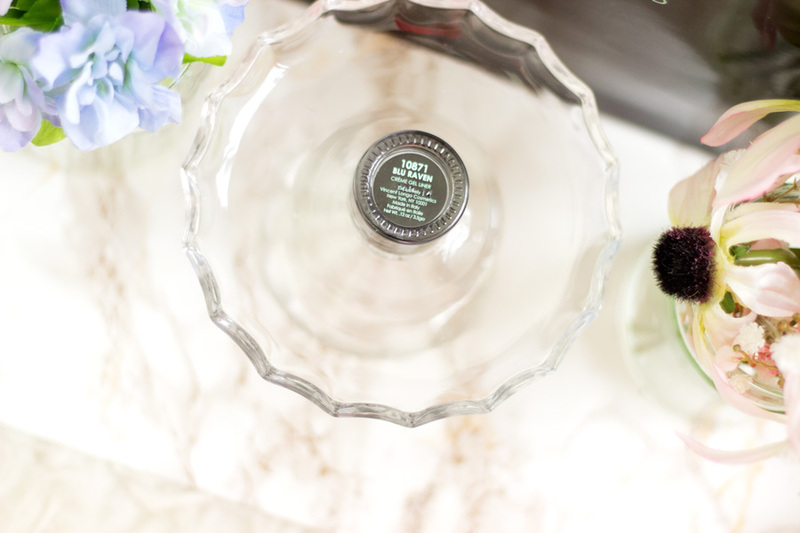 I also use it to set my T-zone area which is always the first place to show tell-tale signs of shine as the day progresses and it really helps control my oils. 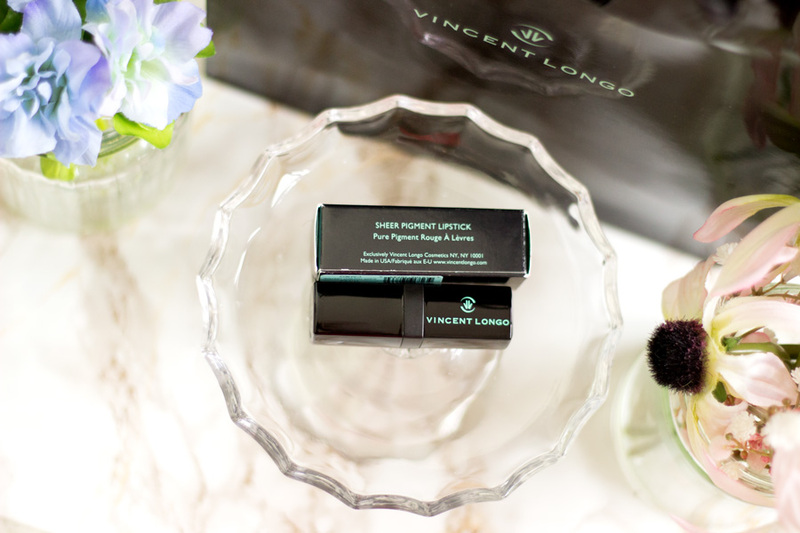 It's a winner in my books and one of my favourite products from the range. 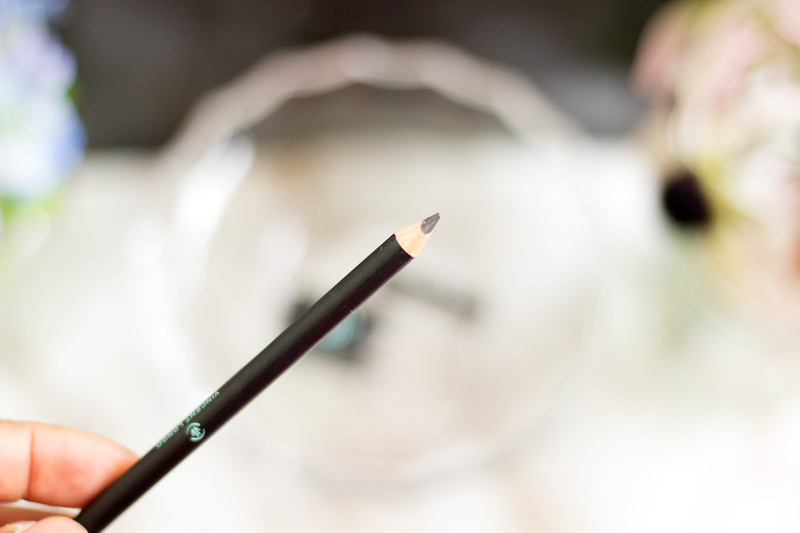 I am a huge fan of pencils with a pointy tip because it helps me create amazing brows that frame my face well. 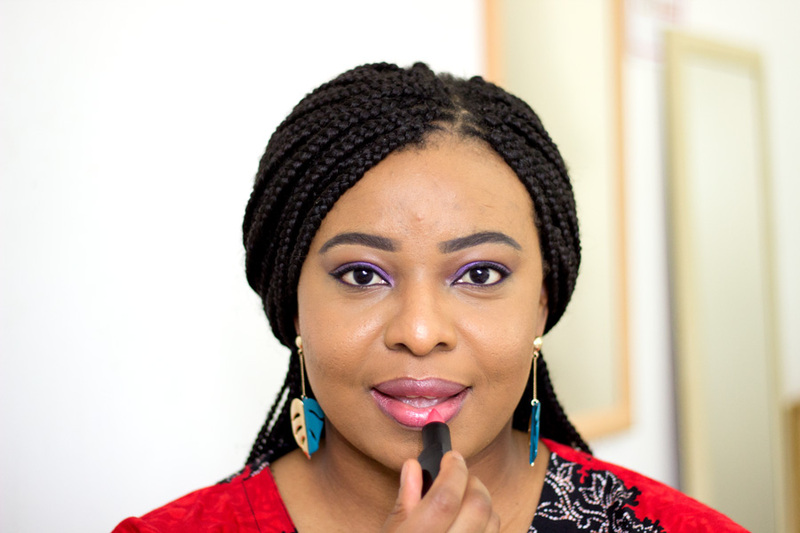 I have not used a pencil alone for my brows in ages as I normally use a pencil to outline my brows and fill in with a brow pomade. However, when this Micro Pencil came into my stash, I decided to do a little throwback. 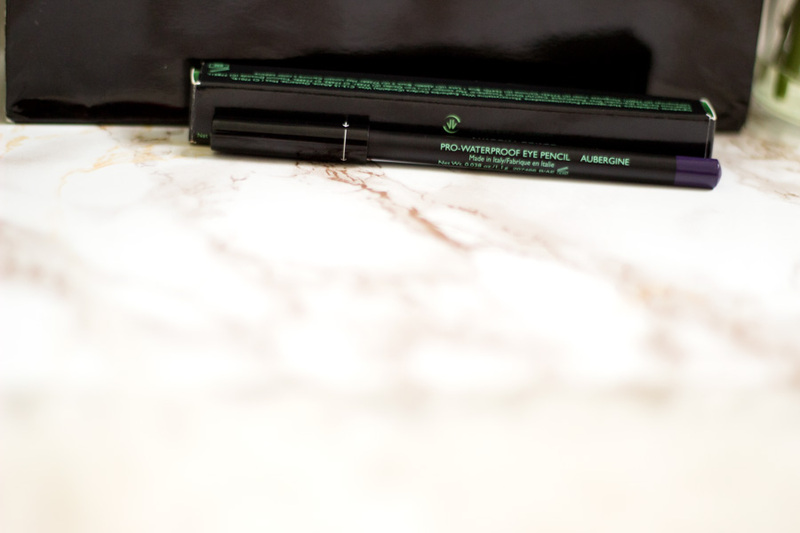 It is described as an Ultra thin pencil which gets to hard-to-reach areas of the brows and ensures a perfect shape and finish. There are four shades which include Blonde, Brunette, Auburn and Black. If I had purchased this online, I would have avoided the black shade which would have been a mistake as it is actually a perfect match for my brows. I know a black brow pencil sounds scary but I would not describe it as true black. It is a dark chocolate shade and it will be suitable for many olive toned and chocolate skin people. I used it both outline and fill in my brows and it did a spanking job. 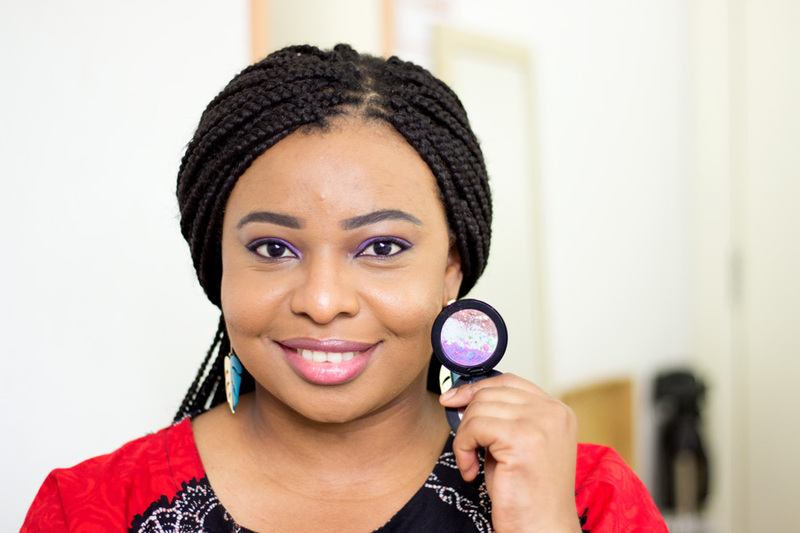 I used a light hand when I was outlining my brows and slightly increase the pressure when I am filling my brows in. 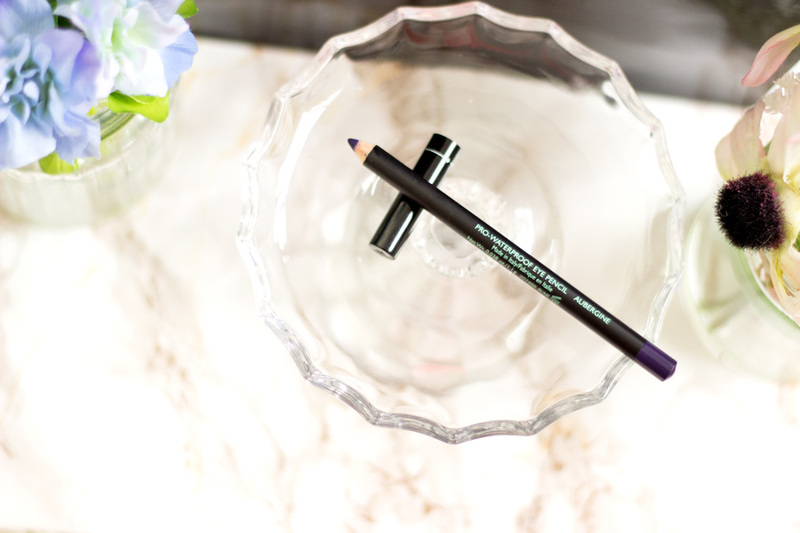 I am very impressed with the results and I honestly could not tell the difference between when I used a brow pomade and this pencil alone. I know many people use just a pencil and if you do, you would really enjoy this pencil. The tip is really micro so it creates hair-like strokes and they don't look harsh at all. The only downside is that you do have to sharpen it but the good news is that it comes with an impressive sharpener. I really like the sharpener because it keeps the tip as sharp as I want and it does not waste the pencil. If you had asked me a few years ago to use an eye pencil to line my waterline, I would have looked you up and down and asked if you were having a laugh. I just hated using pencils to line my waterline because many formulas irritated my eyes and as a contact lens wearer, it is not the best at all. 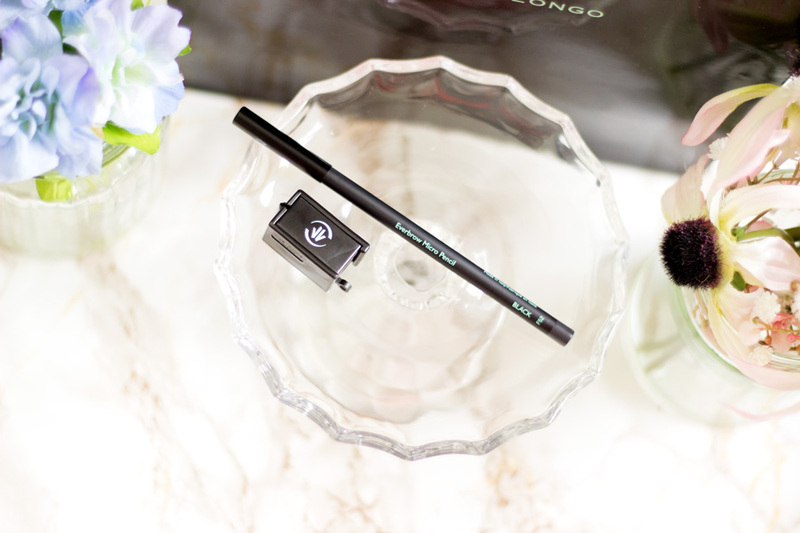 However, I have found some amazing formulas that have made me change my mind and the VLC Pro Waterproof Eye Pencil is one of them. It is described as a professional grade creamy texture which delivers true long lasting colour. There are four colours to choose from including Ebony, Cacao, Aubergine and Ivory and they all look incredible. I was delighted to see the Aubergine shade in my goody bag because anything purple captures my heart. 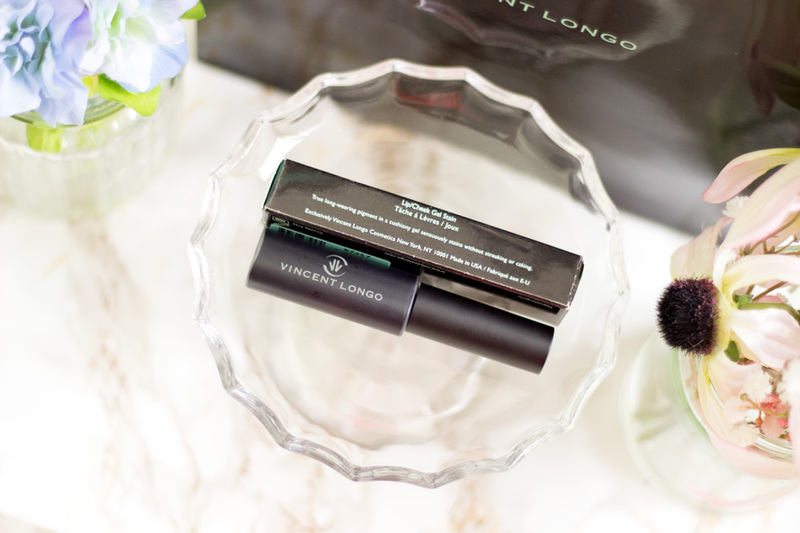 True to its description, it is a creamy formula which glides across my waterline so easily without causing any irritation. 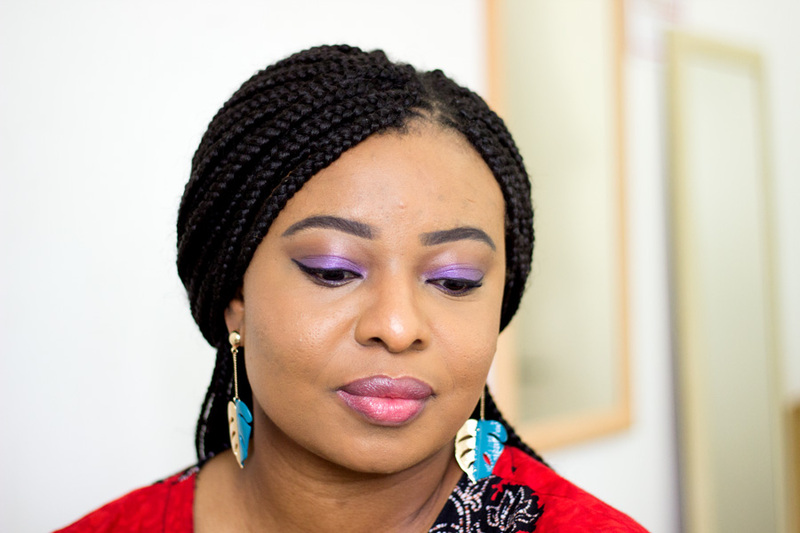 The rich aubergine shade looks very flattering on my complexion and I just love to use it to add some oomph to my eye makeup look. It is not a bright purple which I am happy with because it means I can still get away with wearing it to work. Win-Win!! Also, I noticed that the lid had some arrows on it and I was wondering what it means. Apparently, if you turn the lid towards the direction of the arrows, it gets tighter and more secure so it won't uncover and make a mess in your makeup bag. I think that's absolutely genius and even without doing this, the lid still feels very secure . I am very impressed with this little detail. I have only ever owned two or three cream gel eyeliners and this is mainly because I am not really an expert at using them. I am more of a felt tip eyeliner girl and I have used them for many years now. However, I know that creme gel eyeliners are the best especially for the famous cat flick so I was very excited to give this a try. 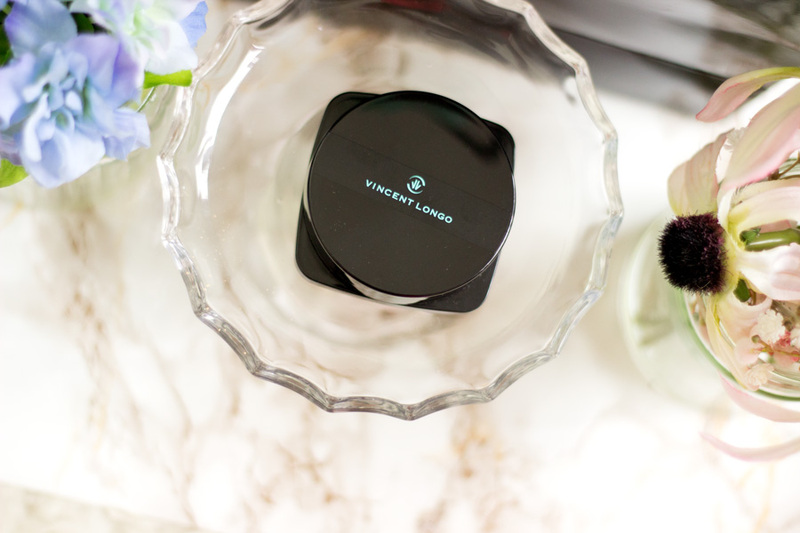 It is described as a luxurious creme gel liner that pairs cutting edge technology with dreamy pearls that whisper at every blink of the eye. I found this description rather intriguing so I was very curious to know what makes it different from other creme gel eyeliners. I have the shade Blu Raven (which is a blue-black shade that I adore) and there five other shades including Felis Brown, Teal Green, Velvet Plum, Flamenco and Golden Orbit. 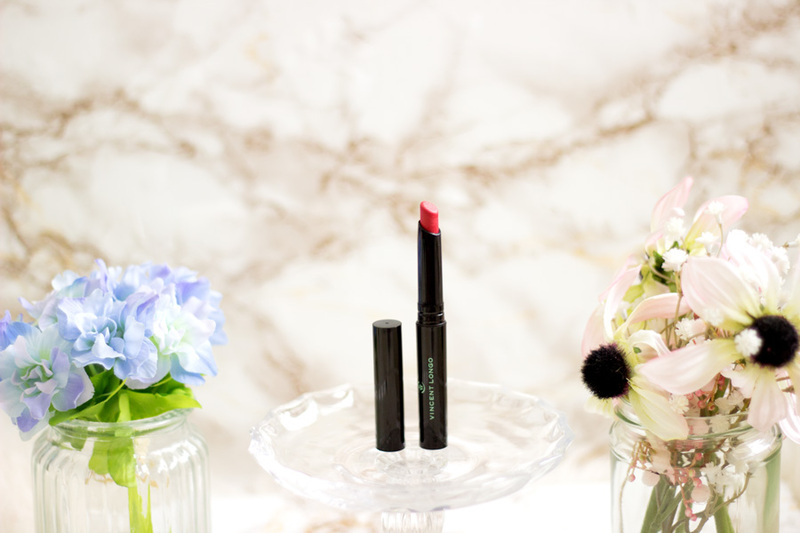 The formula is a very creamy one but it sets pretty fast and does not budge. 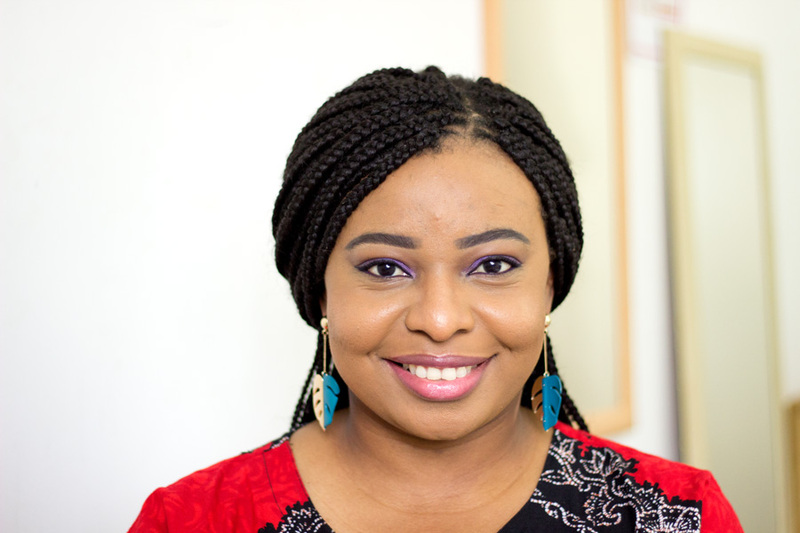 It is richly and intensely pigmented and has a beautiful matte finish once it sets. I really love it although I am very slow when it comes to applying it because I have to concentrate 100% so I don't make a mistake. 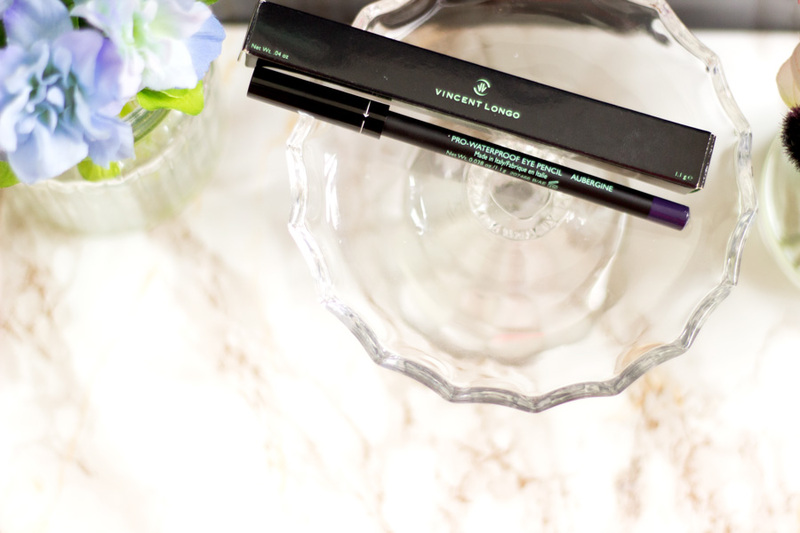 Eyeliners totally looks flattering on my eyes but there is something so special about this creme gel eyeliner. You all know I am a YSL Baby Doll Mascara girl and I have repurchased it several times because it just works so well on my almost non-existent short lashes. I never really want to try new mascaras as such but the name Lush Length sounded very enticing. 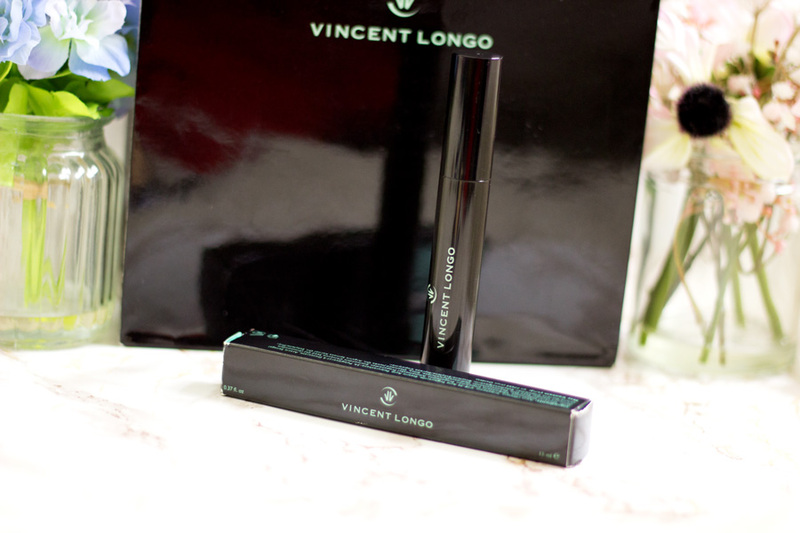 VLC describe this mascara as a rich light weight formula which envelops the lashes while adding volume and extending length. 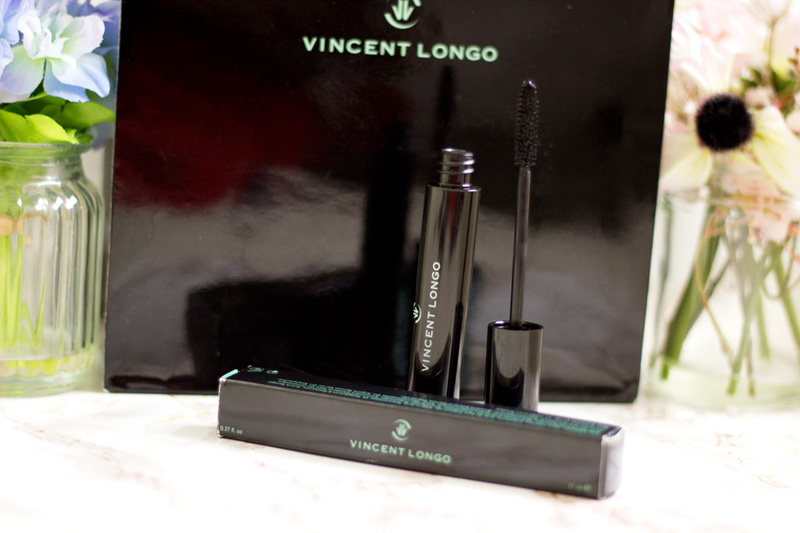 I was pleasantly surprised by this mascara because I didn't have any high expectations as such. 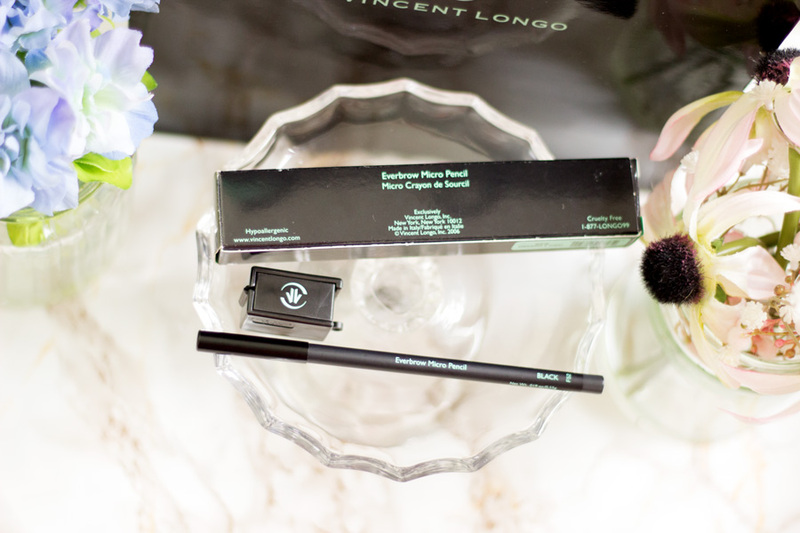 I love the wand and the bristles on it as it picks up even the shortest of my lashes. 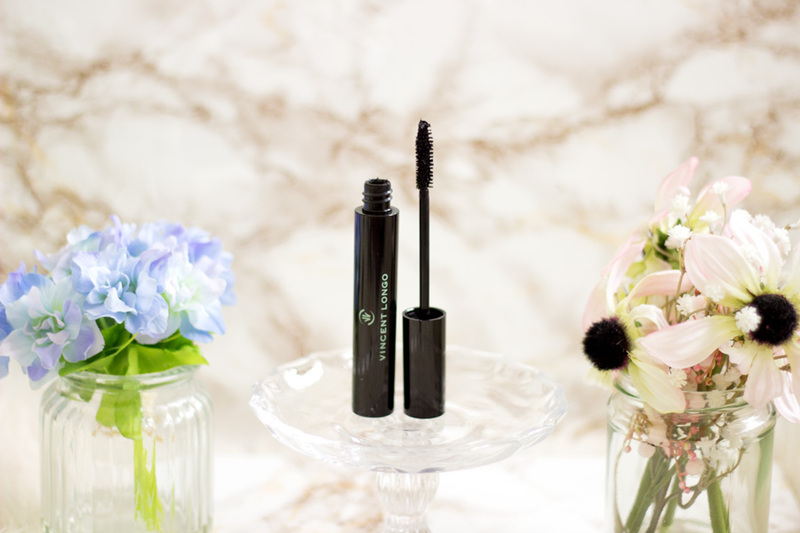 It gives my lashes an absolute lift which includes lengthening, holding a curl and adding some volume. I would have loved more volume but to be honest, its lengthening ability is pretty impressive. 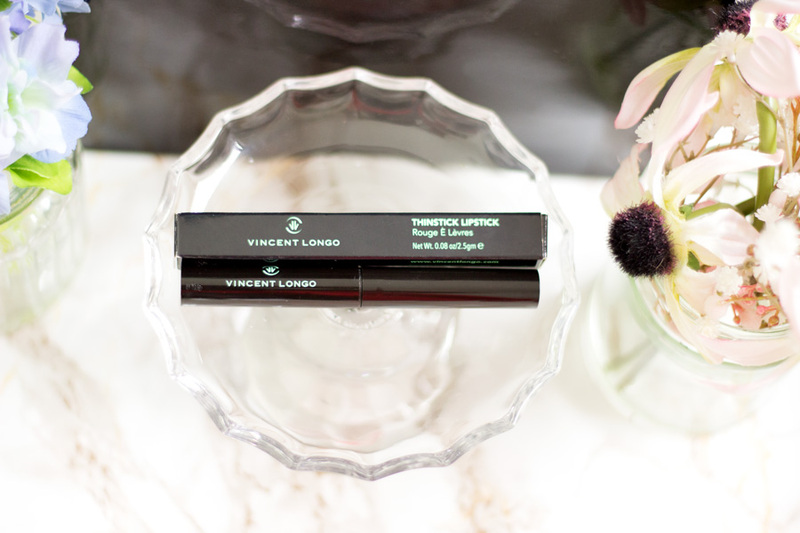 The name suggests that it is more of a lengthening mascara but I am happy that it does other extras in terms of volume and holding a curl. 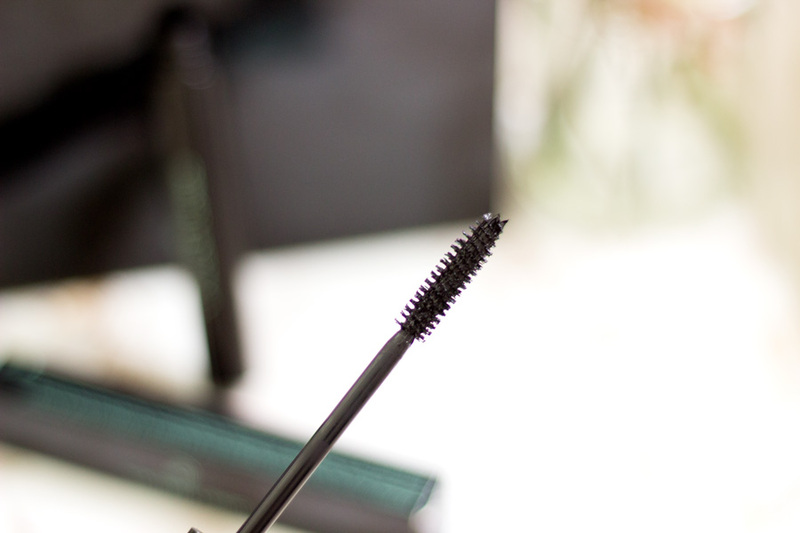 If you have sparse lashes, you may need a few coats of this mascara to get the volume you need. The good news is that there is no clumping and it really does an amazing job at separating my lashes. The only other thing I noticed is that it is not the fastest drying mascara so you need to give it a few moments to dry/set unless it can get to your lower lashes if you blink. All in all, I am so glad I now have another favourite mascara and it's a really good all rounder. You know when VLC said Artistry is at the core of their brand mission, they certainly were not playing. 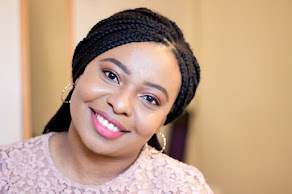 The Pearl X Eyeshadow is another innovative product from their range and I have not come across any eyeshadow quite like it. 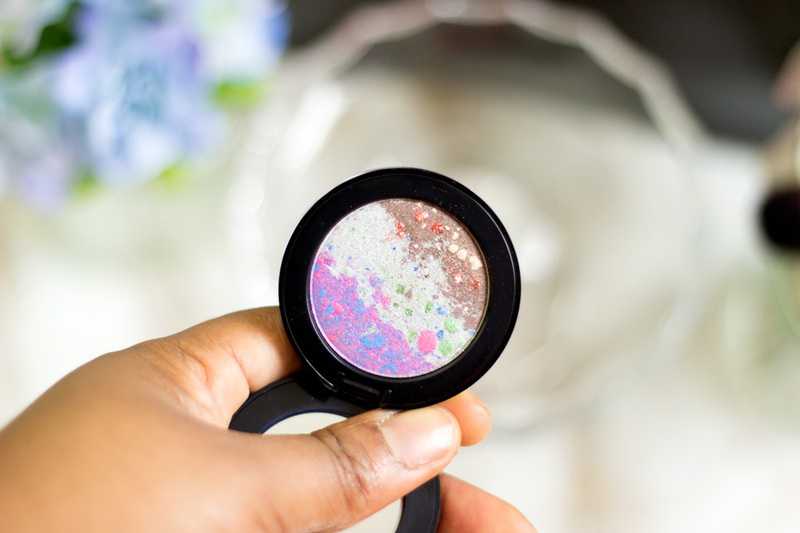 It is described as a sophisticated, multi textured eyeshadow which delivers shades of matte and shimmer that effortlessly blend as you apply. This description totally captures the essence of this eyeshadow. There are five shades to choose from and they include: Luna Beach, Etherea, Gypsy Rose, Morning Glory and Novalei. The one I have is Luna Beach and I still cannot get over how gorgeous it is. To begin with, it has a purple section which made me fall in love with it at first sight. There are three sections in Luna Beach which include a purple, blue and bronze shade. These sections can be used individually or you can swirl your eyeshadow brush across the three to create a bespoke shade. 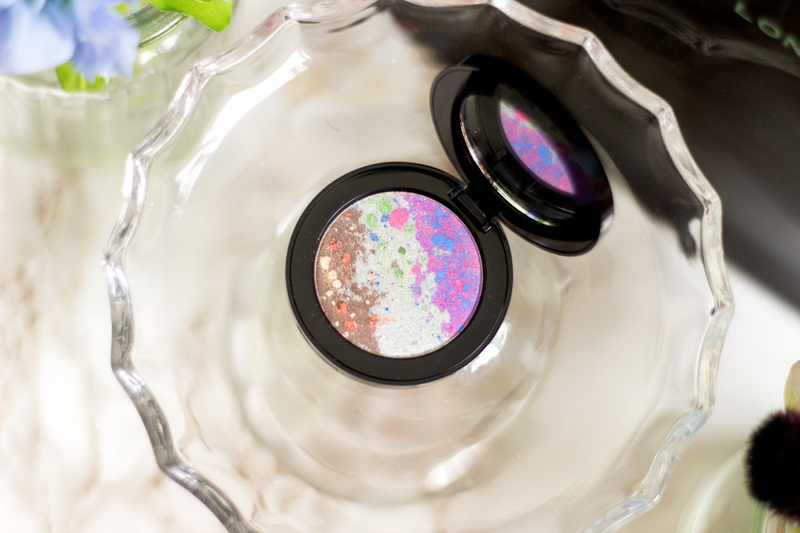 The texture is so smooth and buttery to touch and the speckles add so much character to the eyeshadow. 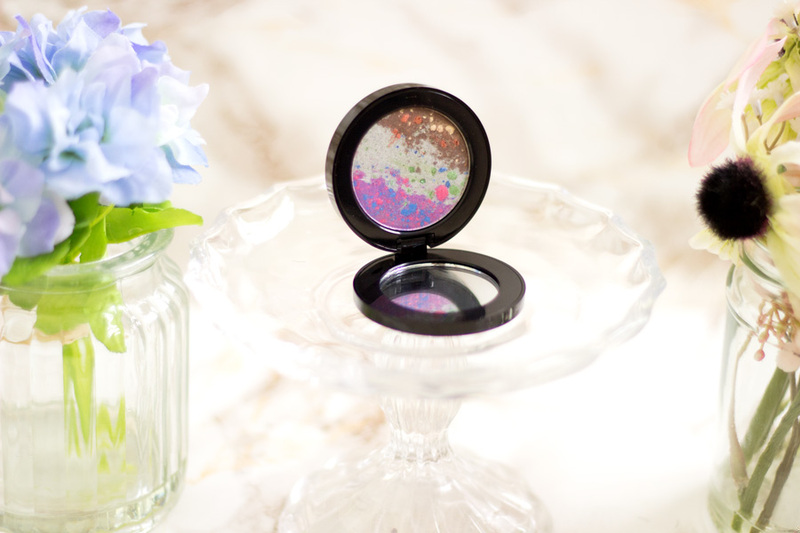 The eyeshadows themselves are very pigmented and you only need one layer. I have tried them with and without a primer and they still wear so well all day. I know this will be an instant hit (and may possibly be sold out) when it finally launches in the UK. 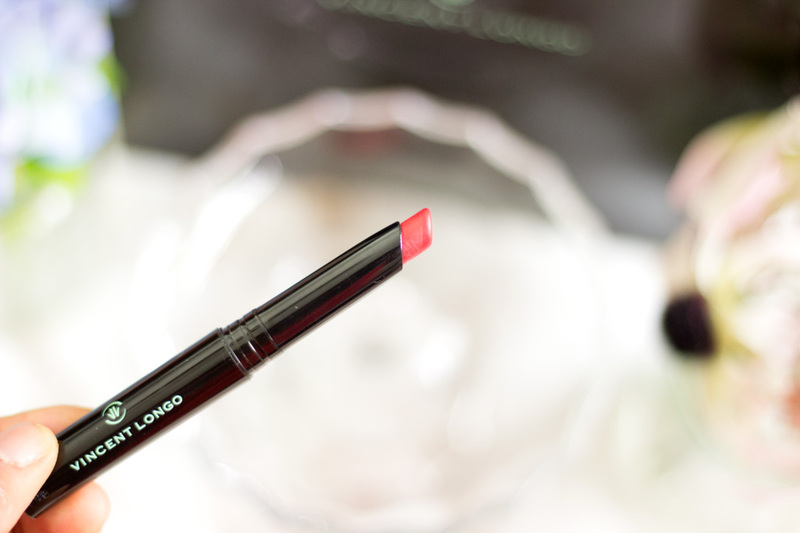 I am a big fan of stains especially in pretty colours because they save me the hassle of reapplying my lip colour. However, I never really apply stains to my cheeks as I prefer them on the lips. The Lip and Cheek Stain is described as a dual-purpose stain which is long wearing and perfect for an active lifestyle. Yes, it absolutely does what it says in my opinion as I have never had cause to reapply it and its wearing power is very impressive. I have applied it early in the morning, eaten breakfast and lunch, had coffee, drank water and it was still there. Even when it fades, it does so towards the end of the day and it fades evenly into a lighter shade of the original colour. If you layer it, it may not even fade but I always use one layer when I am going to work. There are a couple of shades to choose from including Baby Boo, Liquid Kiss, Sunshine and Sweet Apollonia. 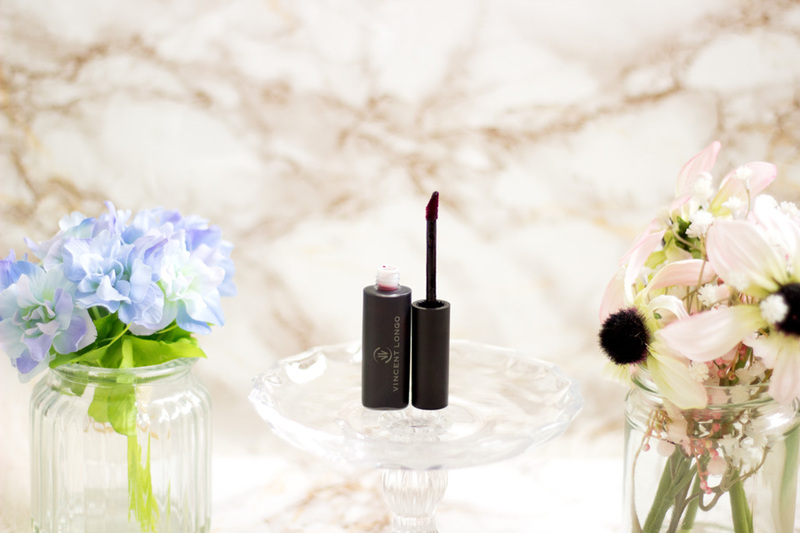 The shade I have is a Sweet Apollonia which is a gorgeous berry shade that I love. I will definitely be wearing it more during A/W. It feels so hydrating and refreshing on application and it does not dry out on the lips as some stains do. It's an amazing formula and worth trying out. I was attracted to the word sheer because I knew I could get away with when I am doing ward rounds and it has indeed been amazing. 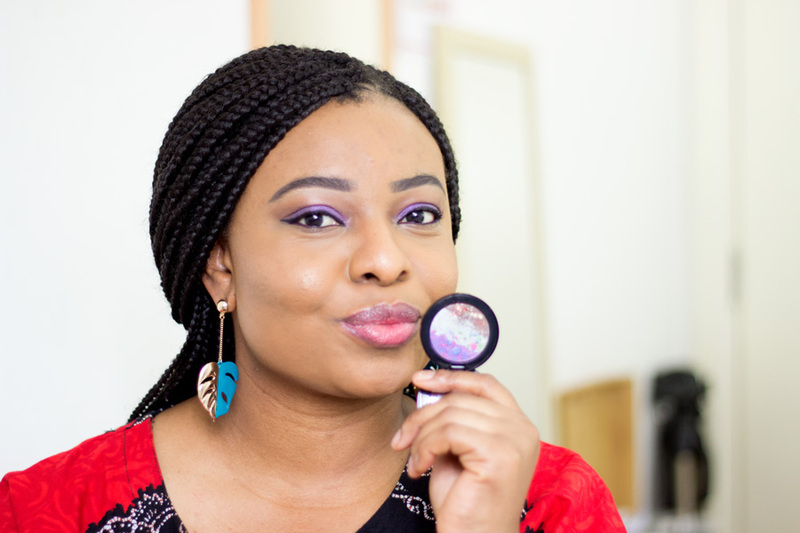 VLC describe this lipstick as a sheer veil of brilliant colour which is also enriched with Mango Butter and Vitamin E. I love the cute packaging and I am pleased it has a secure lid. 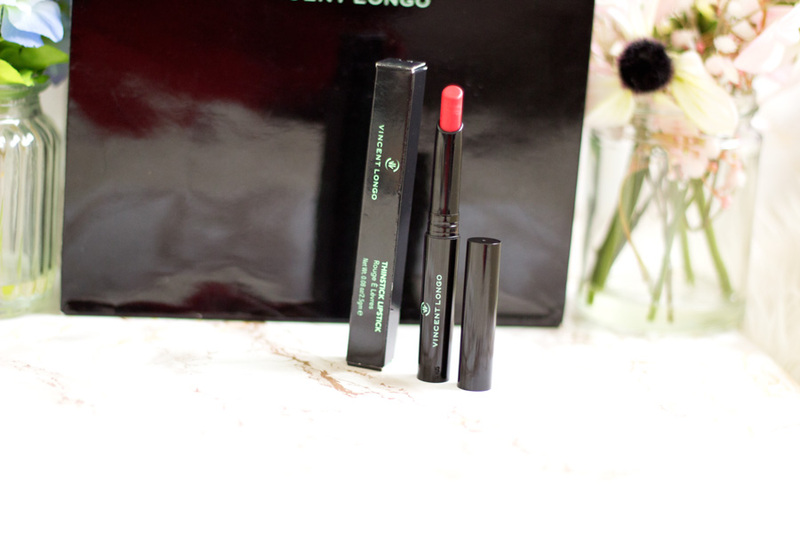 I will not describe it as completely sheer but it provides a light kiss of colour to the lips which is surprisingly long lasting. I always assume anything sheer will wear off easily but that's not completely the case with this lipstick. It lasts for a good while on my lips and I really only have to reapply towards the end of my working day or after a proper meal at lunch. It has a slightly glossy finish; I would say more of a luminous finish. 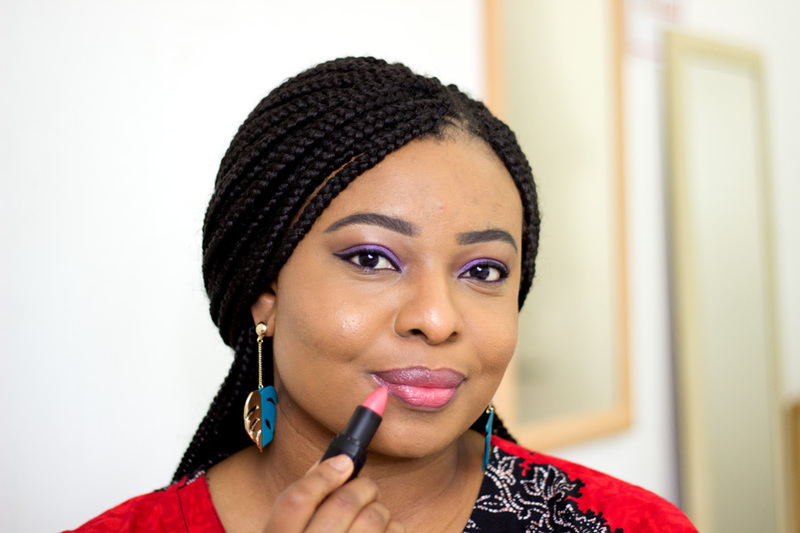 I wore this non-stop for a good while before giving my other lipsticks a chance. 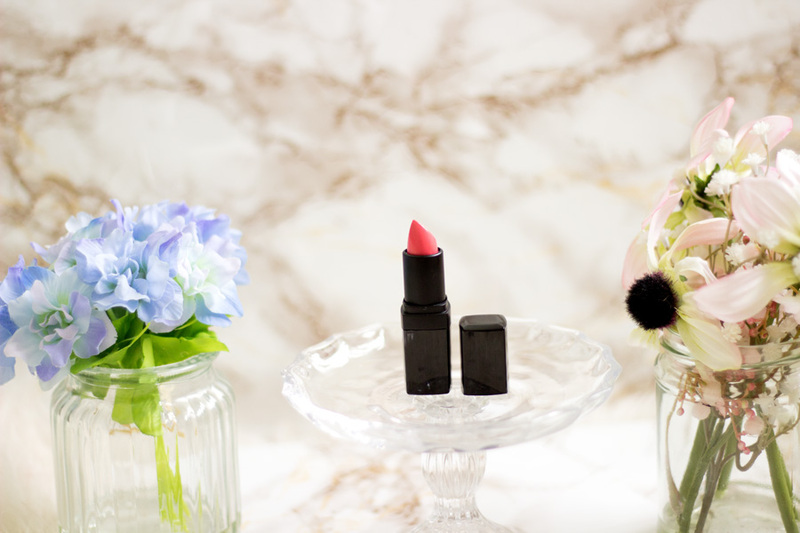 It's just a very easy to wear colour and my shade is Cameo which is a beautiful pink shade. It also comes in four other shades including Americana, Debue, Chroma and Susina. Last but nowhere the least is the Thinstick Lipstick which I have not worn as much as the others. VLC describe it as long lasting rich colour which allows for precision application. It is enriched with a unique blend of emollient which create a rich texture that applies smoothly. I don't think I own any thin lipsticks so this is a first for me and I love how easy it is to use. There are four shades to choose from including London, Baby, Priscilla and Sugar. The shade I have is London and it is a beautiful classic red shade. I think it is quite a universal one that will suit many skin tones. 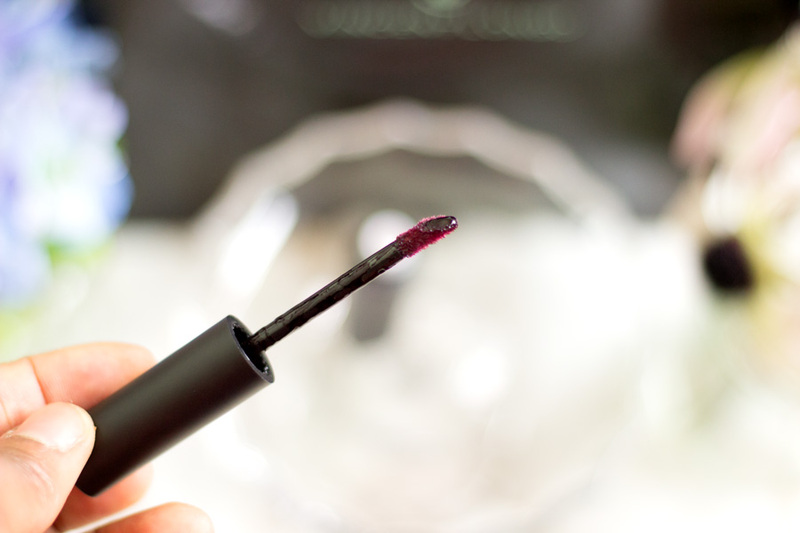 It is intensely pigmented so I apply it with a light hand or a lip brush and the thin shape provides such a precise application. A precise application is definitely needed when it comes to a red lipstick shade unless you'd look like a blood sucking vampire if you are not careful. It is a moisturising formula which is very forgiving on the lips even if they are dry, chapped or cracked and it smells just like fruity sweets. 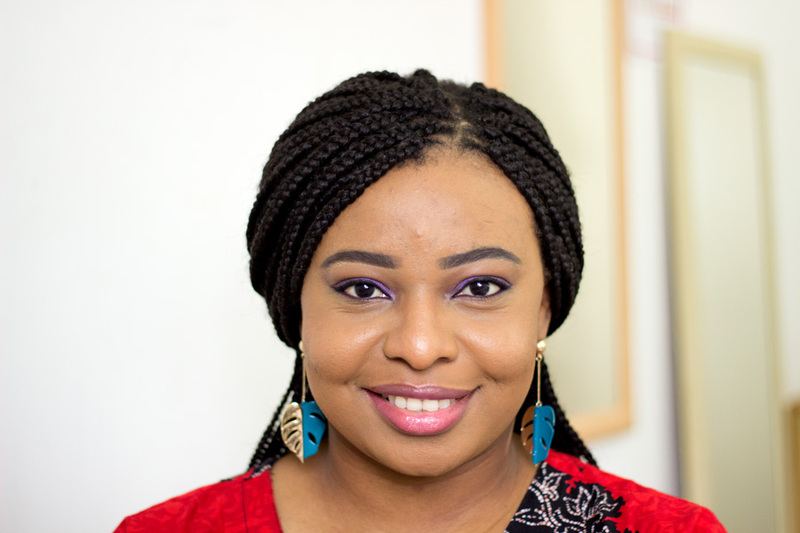 The finish is a demi-matte one which is my preferred finish as it lasts longer and looks better on me. 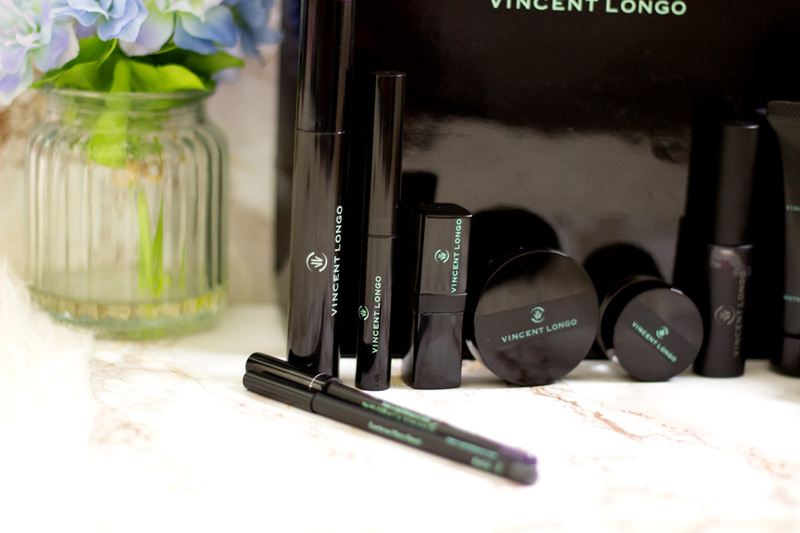 As already mentioned, Vincent Longo Cosmetics will be launching in the UK in September exclusively at Cult Beauty. I will update this post with the exact date and links when I have them. I am sure Cult Beauty will announce its arrival so do sign up to their newsletter if you are not already on it. I can't wait to see what other people to think of this range here in the UK. I know people over in the US have said many good things about the range so I am sure it will be a hit over here. If you are in the US, you can find VLC on their website where they offer free shipping for orders over $45. 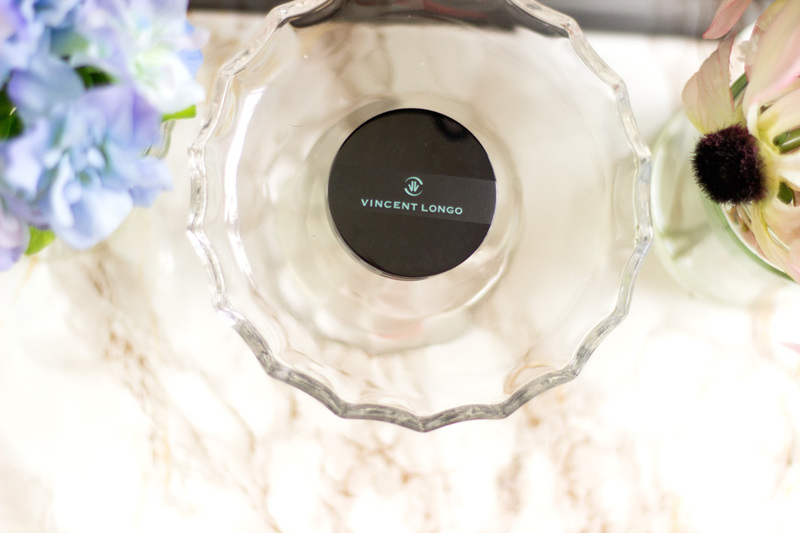 I am very impressed with the quality of the Vincent Longo Cosmetics I was lucky to try out. It's hard to pick out my absolute favourites but it has to be done. The Sheer Pigment Lipstick, Perfect Canvas Loose Setting Powder, Pear X Eyeshadow (Luna Beach) and the Lip and Cheek Stain are my favourites. I use the above products almost on a daily basis and it says a lot about how much I love them. A massive thanks to Mark McDonald Consultancy (MMCL) for bringing VLC to us in the UK and for gifting me so many amazing products from the range.That's pretty much my review. I know it was long but if you made it to the end, you are a gem. 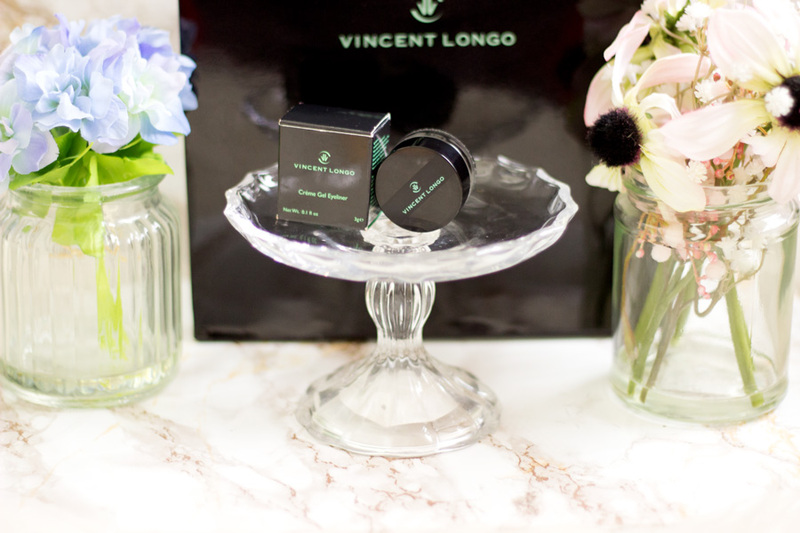 Will you be checking out Vincent Longo Cosmetics? *Gifted PR Samples, read my full disclaimer.